Most writers have heard the terms “scene” and “sequel.” The first time I was exposed to the concept was when I read Dwight Swain’s book TECHNIQUES OF THE SELLING WRITER. They are such an important element in storytelling that I wanted to write a blog post about them, but every time I started, I realized that consolidating all of the important elements of scene and sequel into a short post would be nearly impossible if I were to deal with the mechanics of them in any depth. After all, Swain took an entire chapter to delve into the nuances of scene and sequel – they are that important. At the most rudimentary level, scene can be explained as “action” and sequel can be explained as “reaction.” Both exist together to drive the action forward and control the pace at which the story unfolds. Scene is about linear events and sequel is about the emotional impact of these events and opens the door to the next scene. Every scene should be like a microcosm of a story in itself, with your character having a goal, reaching an obstacle, and encountering change as a result. In the sequel, the character has an emotional reaction to the conflict created by having their goal blocked and either overcoming or failing, deals with it and transitions into a new mindset in order to face the next scene. The term disaster is used to describe the new negative state of affairs that must be overcome. Swain calls it a hook that pulls the story forward. The goal in a scene is a short-term, focused goal, small in scope and immediate. The conflict is the obstacle keeping your character from attaining his goal. 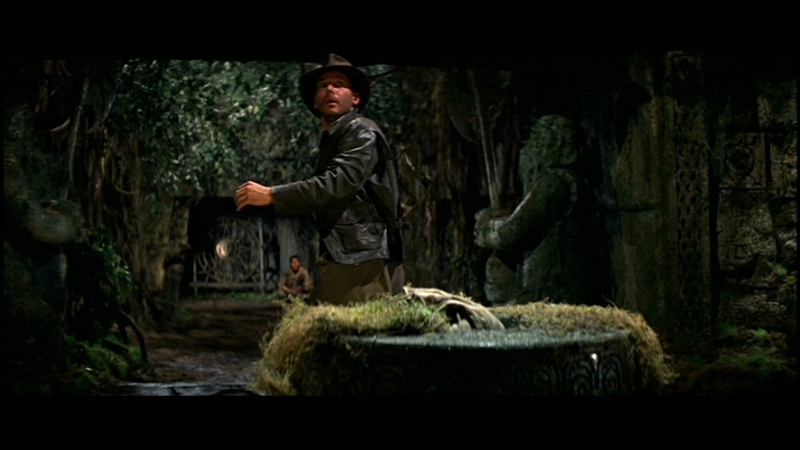 One example of these elements is found in the opening scenes of RAIDERS OF THE LOST ARK. Indiana Jones has reached the golden idol in the temple of the Chachapoyan Warriors. His goal? To take the idol. The obstacle? The pedestal is booby trapped. The disaster? The temple collapses around him. Reaction: Indy’s smug confidence turns to anxiety as he realizes he’s about to become a permanent part of the site. Dilemma: He doesn’t have the time to carefully negotiate his way back through the booby-trapped floor tiles. The ceiling is falling, setting off the poisoned darts. Decision: He makes a mad dash through and prays he makes it without getting hit by a dart or falling rocks. 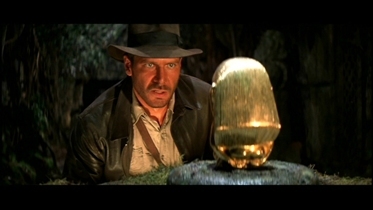 Of course, Indy makes it through unscathed, stops and turns, adjusts his hat with a little relieved smile and the wall behind the idol shatters as the giant boulder crashes through. New goal, new conflict, new disaster. That is an oversimplified explanation of scene and sequel, but you get the idea. Sometimes, it is possible to have several scenes in succession before bringing in the sequel, but the sequel must come into play. The sequel not only lets the character internalize the emotional impact of the action, but it also lets the reader figure out their own emotions as well. Evoking an emotional response is what good fiction is all about. And that in a nutshell is how scene and sequel work together towards that end. Are you conscious of scene and sequel in your reading and writing? How do you keep track of scene and sequel? There are two sides to writing, the creative/artistic and the technical. It’s the same with music, really. Not all combinations of notes make pretty chords. Anyone with half an ear can sit down and pick tunes out, but learning about scales and how to transpose from one key to another is just a part of the technical aspects of it. That’s why so many classes on Music Theory are taught. I’ve been writing and studying writing for thirty years. I hate the technical aspects of it. However, I’ve found that the technical aspects of it, if followed, will make writing shine. I’d never even considered this before. May I present it to my next writers’ group meeting in November? Sure! It’s not my original idea. I borrowed it from Dwight Swain’s book TECHNIQUES OF THE SELLING WRITER. That book has been around for nearly 50 years. It’s been the most helpful writer’s resource in my library. Sounds like you’re getting it to me! I’m glad I could help. Yes, if you only ever add one book on the technical aspects of writing to your library, Dwight Swain’s book is the one I always recommend. I’ve had my copy for twenty years and every time I read through it, I find something new.